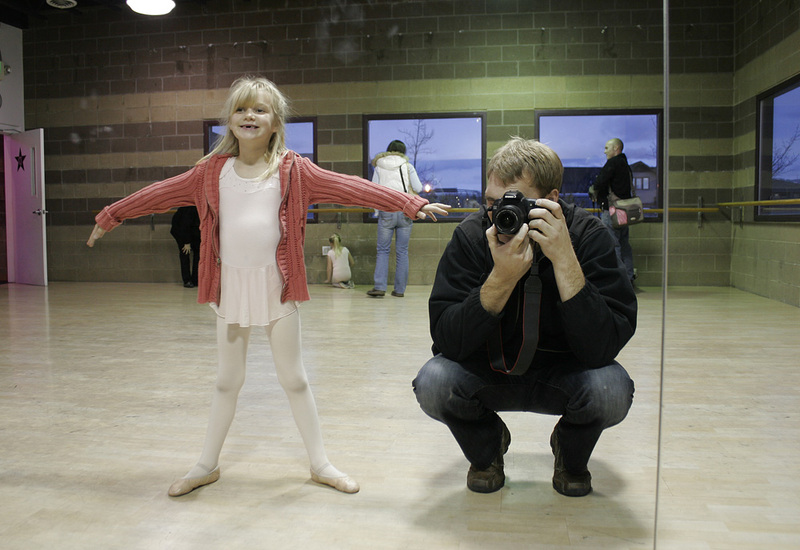 Sam and I went to one of Lily’s dance class performances. She was cold so she didn’t want to take off her sweater as she leapt around the room. At the end of the class she was staring at herself in the mirror. She said “Take a picture of me Dad”. I couldn’t pass up such a great photo opportunity. It would be easy to get a close up image of her face or a full body shot of her smiling like any other photo. But what was happening here that was a good story? What do you see when you look in the mirror? No matter what’s actually there (good or bad) you see what you want to see. In this photo Lily was looking at a beautiful dancer striking an impressive dance pose. Next To serve or not to serve. That is the question. I got lazy. It happens. Sorry.